A weekly in-depth look at news and issues facing the First Nation and Metis population of Saskatchewan. Hosted by award winning journalist Nelson Bird. Nelson Bird is News Reporter, Aboriginal Affairs Specialist, and Host and Co-Producer of CTV Saskatchewan's weekly current affairs program Indigenous Circle. Born and raised on the Peepeekisis First Nation In 1997 he graduated from the University of Regina / First Nations University with a degree in Journalism and Indigenous Studies He also has a certificate in Indian Communication Arts. Nelson started with CTV Saskatchewan in 1998 as a video journalist, producer, and anchor person. His job allows him to tell the stories of Aboriginal people from across Canada and beyond. Another part of his work, which he loves, is to train young aboriginal people and encourage them to be the best they can. He conducts motivational speeches at schools and universities. Nelson is very proud of his First Nation culture and takes part in as many events as he can. In his spare time, he is a jack-of-all-trades and does everything from plumbing to carpentry. He and his family enjoy living in Regina. Creeson Agecoutay is a video journalist and reporter with CTV's award-winning weekly program Indigenous Circle. Creeson grew up on the Cowessess First Nation and is a graduate of the Cowessess Community Education Centre. He later moved to Regina and is now an Indian Communication and Arts (INCA) student at First Nations University and is currently in his third year at the University of Regina School of Journalism. Creeson has been part of the internship/mentorship program at CTV Regina since the fall of 2008 and has been part of the news team ever since. Creeson enjoys the opportunity to travel across Saskatchewan and abroad to report on stories concerning First Nation, Métis and non aboriginal people. Norm Shuttleworth, the longest serving member of the indigenous Circle team, joined the program in 1995 as Television Director. In 1996, the role of Producer was added to his responsibilities, but don't look for him on camera! "Everyone has their area of strength. Mine is definitely behind the scenes!". 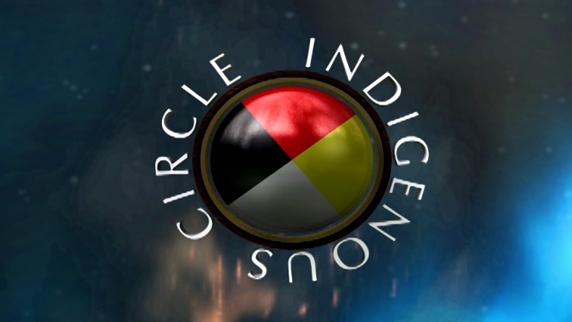 Our mission is to foster, in a holistic way, greater understanding between Aboriginal and Non-Aboriginal people as to traditional values, current issues and future directions of First Nations and Metis communities.